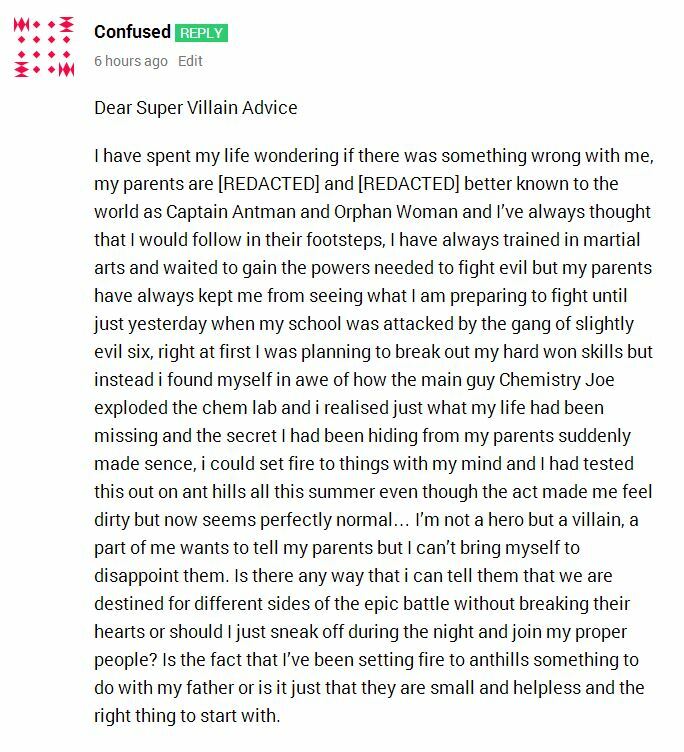 As a Super Villain of some renown I know everything there is about being a super villain, and I’m here to help you with advice… … fortunately I came from a long line of Super Villains, so there was no need for me to “come out” as a Super Villain. 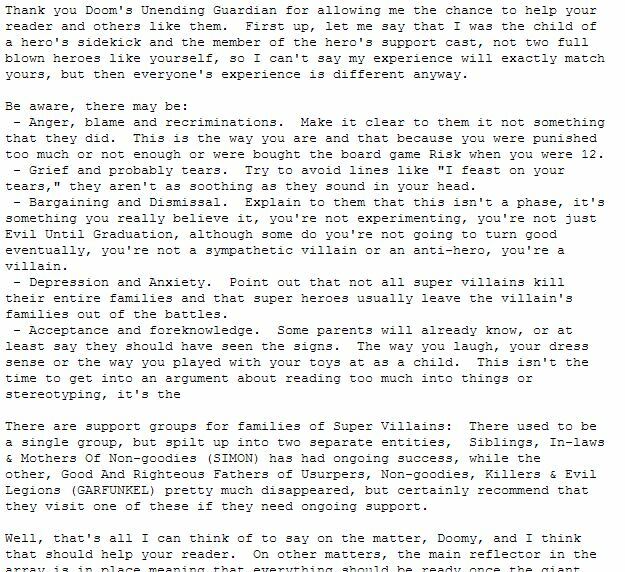 Unfortunately that means that although I know everything about being a Super Villain, I cannot help with this particular problem, as such I got in touch with a Evil Weapon Builder friend of mine who went through similar an experience when he was starting out, Denizen of Uber-Greatness, had this advice: Well, “Confused”, I hope Denizen of Uber-Greatness’s advice helps you and the many others out there facing this important issue. That said, may I advise you to stay away from your parents for a while, because one of my Death-Squads may be targeting their civilian identities for the foreseeable future. If you have any problems like “Confused,” I can give you the solution. Just ask in the comments here or on tumblr, Google+ and Twitter. Mwahahaha.